We have all dreamed of having a stately manor with a den that is the envy of all of our friends. A carefully tended fire crackles behind a fireplace mantle carved from beautiful marble which sits beneath a masterfully painted image of the family in their finest clothing. Maybe not quite that extreme, but we can create an elegant feeling without moving to a country estate. The walls are the first point of interest for this kind of redesign. Off white eggshell walls are not classy. They ring of apartment buildings and bland living spaces. A vermillion hue of some kind or perhaps a royal blue would work beautifully to illicit that feeling of regal design. The fireplace mantle is next. 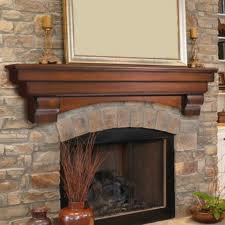 The fireplace is the centerpiece of any good den and, if you don’t have one, you can buy a realistic faux fireplace. At that point you can build fireplace mantles around these faux fires to complete the illusion. If you don’t have the skills to build one yourself then you can buy one of the pre-fabricated options on the market but they will charge you and arm and a leg. You don’t need to buy full fireplace mantles though. Because there is no actual fore, you can buy a fake one at the end of the Halloween season for cheap and paint it to look less spooky. If you really want to make the fire look realistic then you can go with a higher end fire effect. Lately, there have been some fire effects that hit the market which are based on theatrical special effects. They use a kind of light smoke machine to make very realistic flames and smoke with just a little fog juice, a fan and the right kind of lights. From here you need to think about your furniture. I suggest using hardwood and leather whenever possible. Just make sure to learn about how to care for such nice furniture so that it outlasts you and your den by a few generations. It’s not hard at all and you’ll have a beautiful den to invite your friends into. Btw, thanks for visiting my blog sis. Happy weekend sayo! Wow, I wish I have that kind of house. I love to know more about home decoration. Thanks!